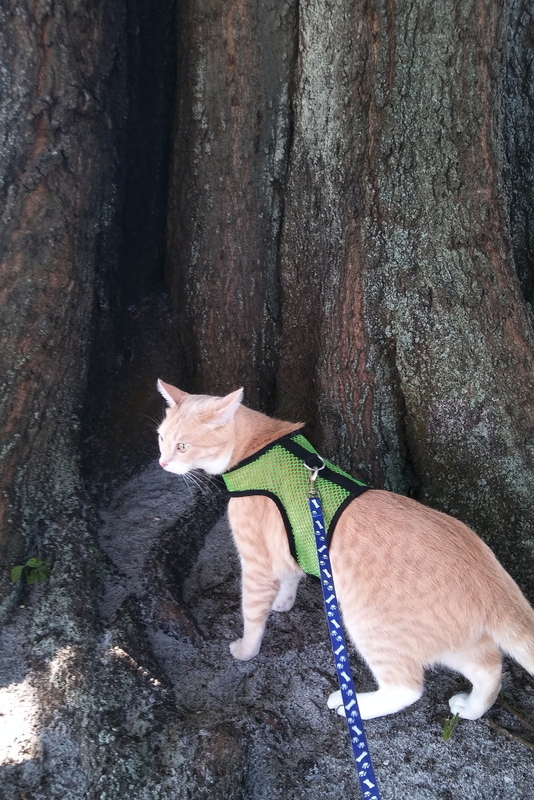 Frankie came across this tree on a recent walk and thought about climbing it but after looking up he quickly abandoned that idea. 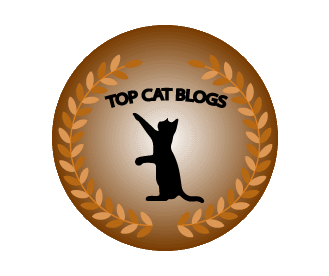 This entry was posted in Uncategorized and tagged big, cat, tree on April 21, 2017 by Charles Huss. 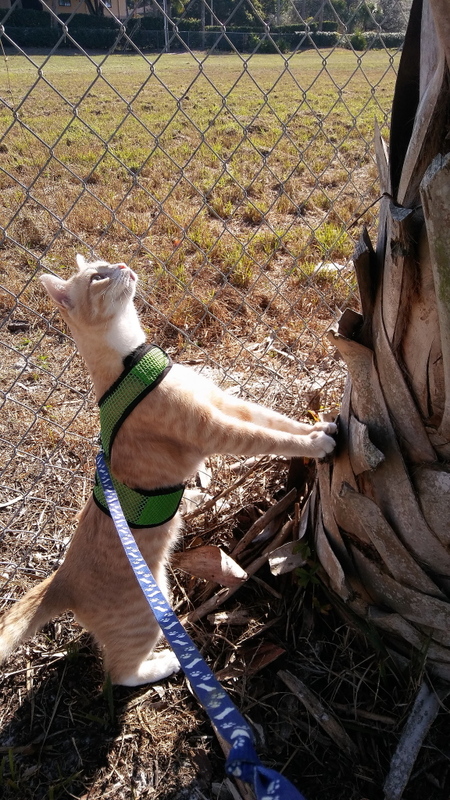 This photo shows Frankie sizing up the tree he plans to use to get over the tall fence. I had to drop my phone and grab him as he reached the top of the fence, and then pull him back to my side. This entry was posted in Uncategorized and tagged cat, escape, fence, tree on April 7, 2017 by Charles Huss. 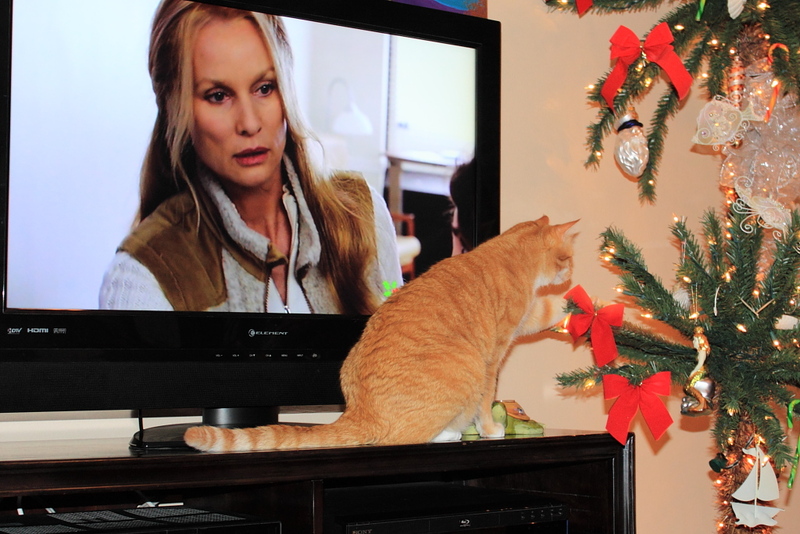 It looks like the spirit of Christmas affects cats too and has moved Frankie to be nice to Chris. 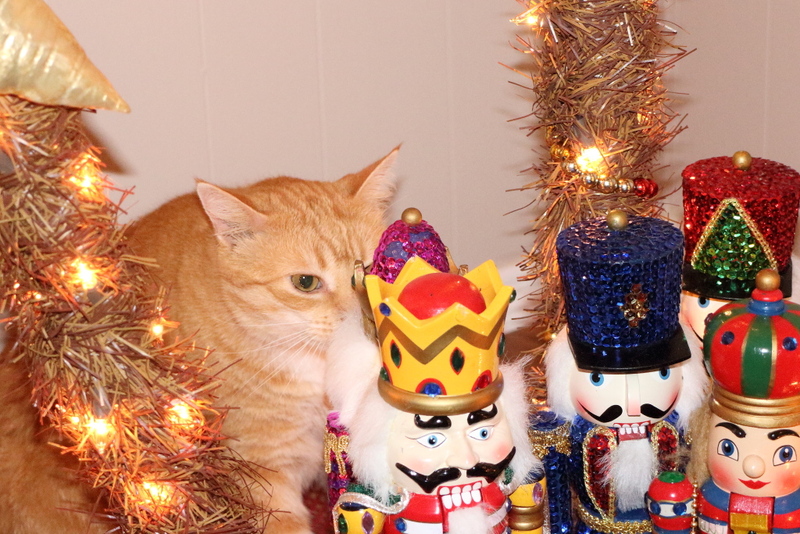 This entry was posted in Uncategorized and tagged Cats, Christmas, cute, nutcracker, Spirit, tree on December 4, 2015 by Charles Huss. 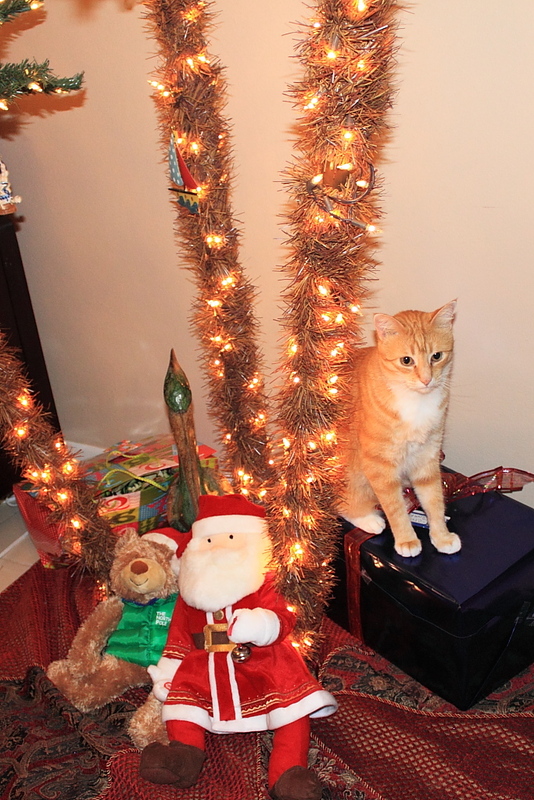 Today we had the pleasure of putting up our Christmas tree… with help from the cats, of course. 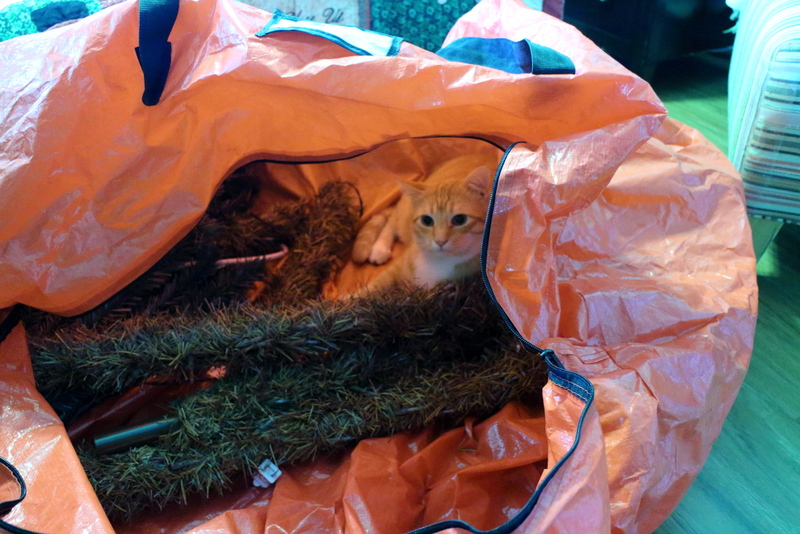 Chris managed to get into the bag before I got tree tree out. 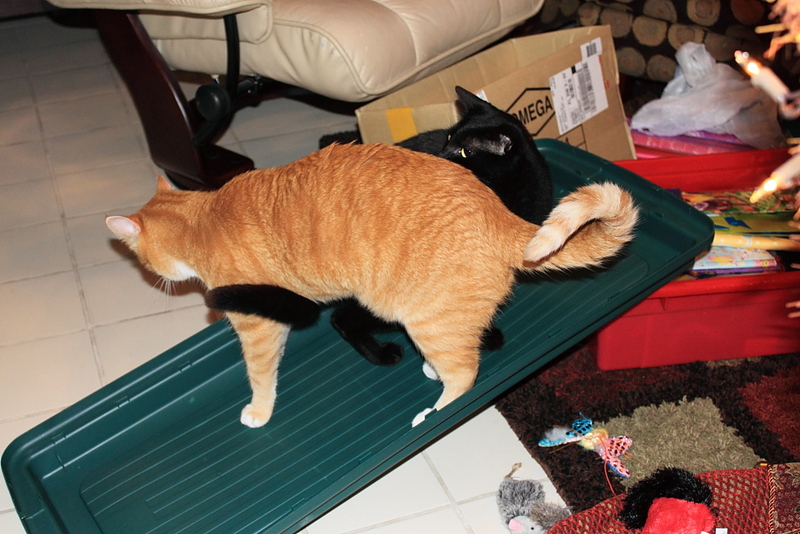 Frankie was there helping me put the pieces together while Puck supervised. 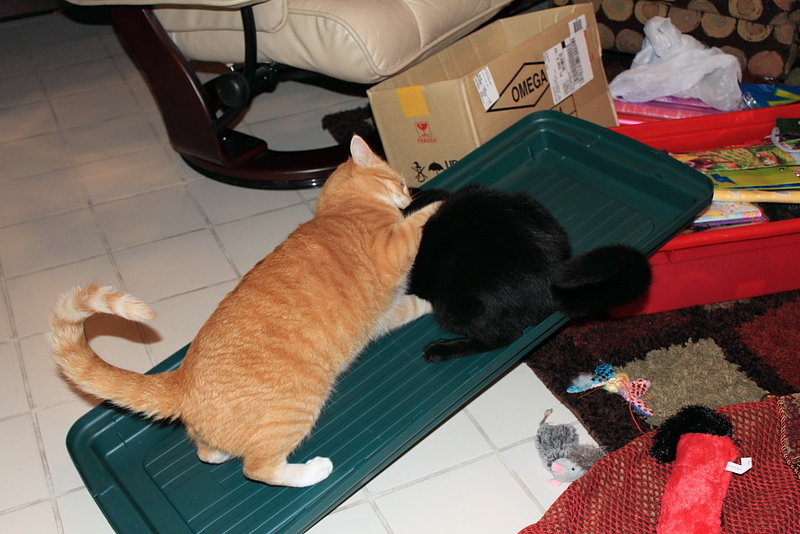 Unfortunately, Puck’s pictures did not come out well. It definitely met with Chris’s approval. 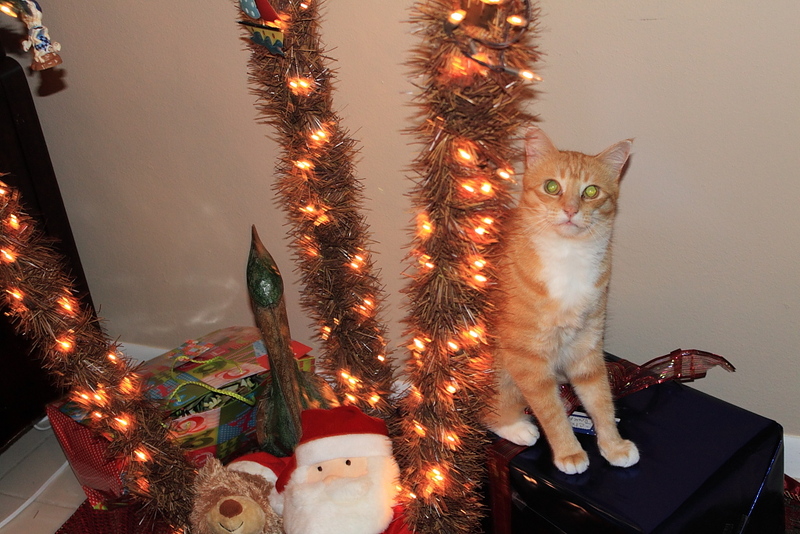 I put up lights around the windows after the tree was done and Frankie was there to help every step of the way. I asked Rose to take a picture of us but when she did she called Frankie to look her way but he jumped down and went to her instead. Who else gets extra help for the holidays? 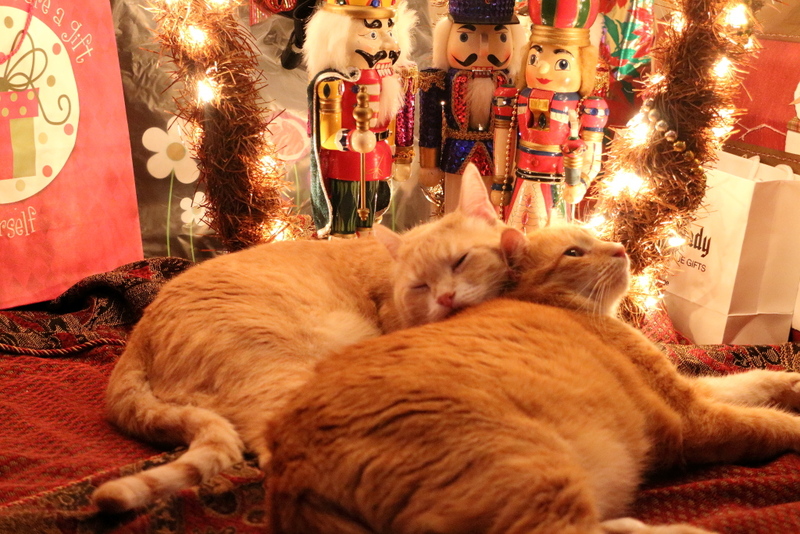 This entry was posted in Uncategorized and tagged Cats, Christmas, tree on November 22, 2015 by Charles Huss. Out of our three cats, Chris is the only one I feel comfortable letting outside. Puck is okay when let out. He doesn’t go far but he is near impossible to catch when it is time to go in. Frankie can never be let outside. It is unfortunate but after leading us on a long chase through the neighborhood… twice, I feel if he ever got out again we might lose him. When Chris is let out he usually starts by eating grass, nothing worrisome there, but I do have to remind myself that he is still a bad cat and I need to keep an eye on him. Sunday afternoon I had to bring the trash out and Chris was at the door crying to be let out so I thought a few minutes outside wouldn’t hurt. As unusual, he ate grass while I brought the trash to the barrel at the side of the building. On the way back I got into a long conversation with the neighbors. While this was going on, I kept checking on Chris, who was gradually working his way toward the side of the building. When he got far enough away, I ended my conversation and went to get him. Naturally, Chris doesn’t want to get got so he runs away from me, which I expected. My main goal was to herd him toward the front door. I’ve noticed lately that Chris tends to be very casual while outside until he knows it is time to come in, then he desperately starts looking for a lizard while avoiding getting caught himself. A few times he has shocked me by actually catching one with such short notice. 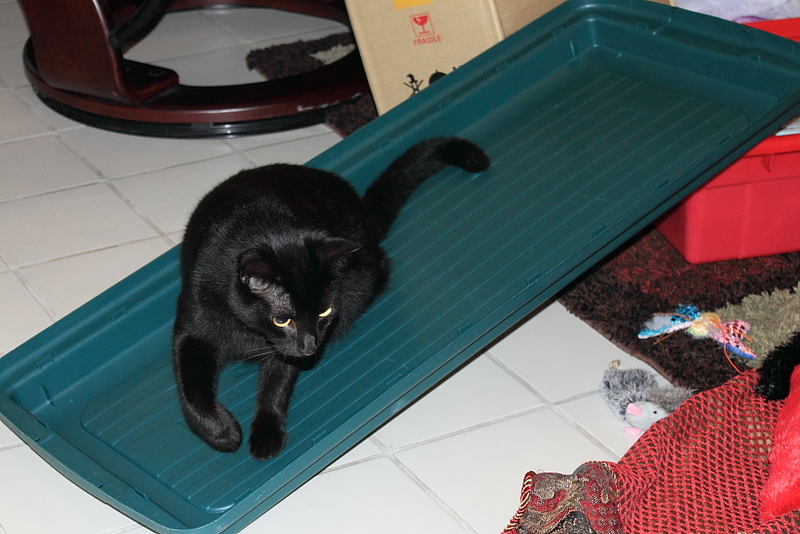 On this day there were no lizards in sight but he wasn’t ready to be caught yet so he tried something new. 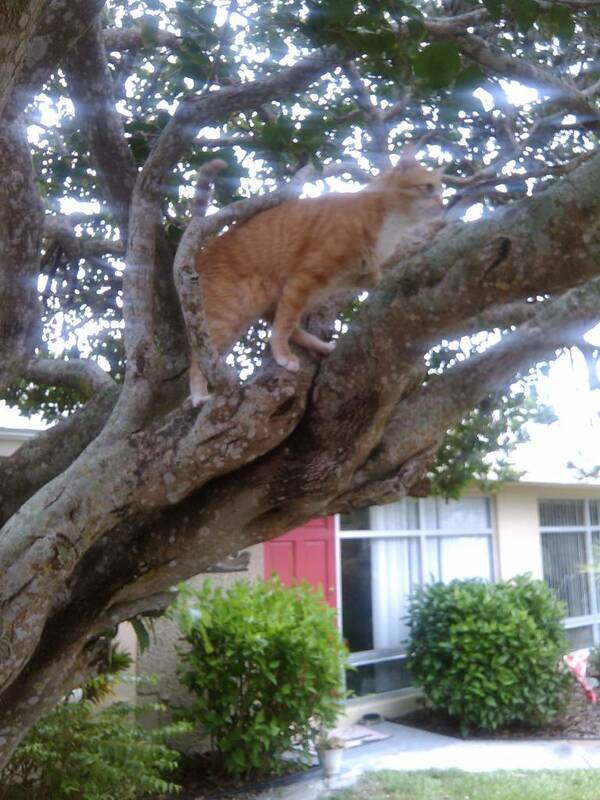 He ran up the side of the tree in our front yard. I was a bit surprised at first, especially because he went up it like he had done it a hundred times. I took my phone out and took a couple of quick pictures but then had to put it away because he started climbing higher and I wanted to get him while I could still barely reach him. 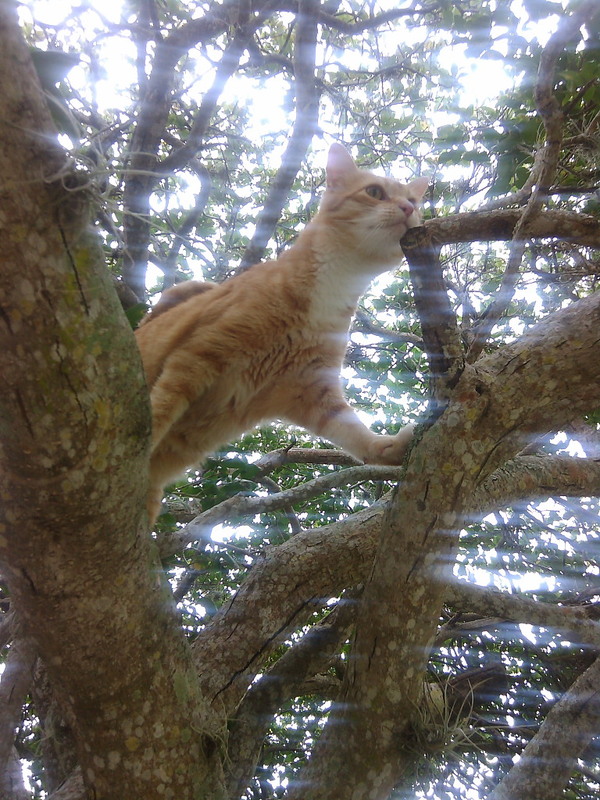 He wasn’t too happy about being pulled out of that tree but unfortunately tree climbing is not one of the benefits of being an indoor cat. 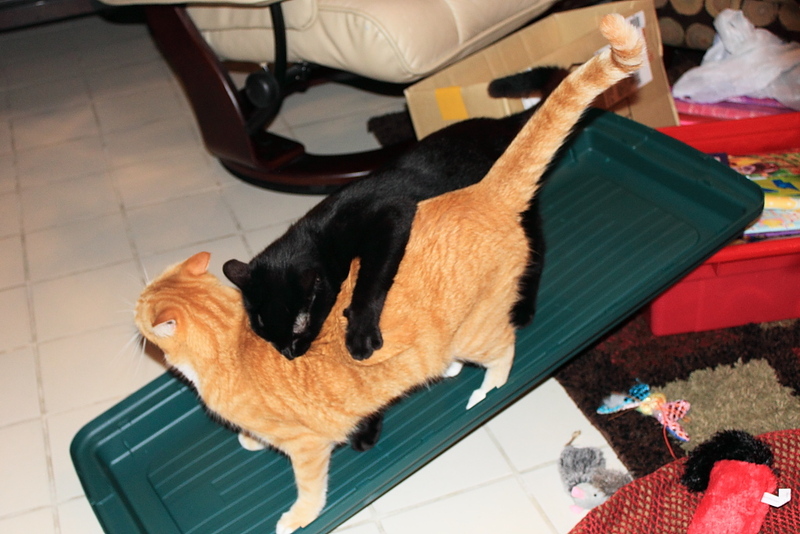 This entry was posted in Uncategorized and tagged Bad Cat, cat, outside, rescue, tree on June 3, 2014 by Charles Huss. We have been collecting Christmas presents in the spare bedroom for several weeks and Wednesday Rose decided it was time to wrap them. 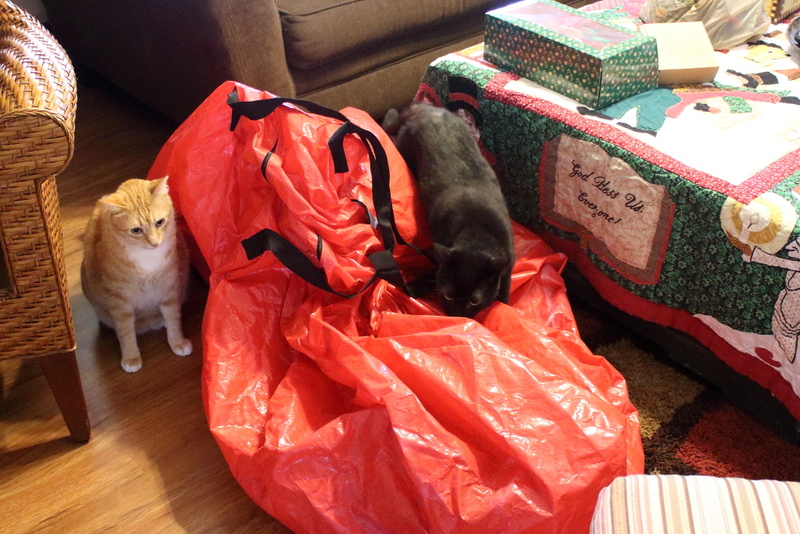 Of course, Chris and Puck agreed that wrapping presents was a wonderful idea and did what they could to participate. This is cool! It’s like a slide. Move over! Let me try it. You need to learn, Chris, that you can’t always get your way. 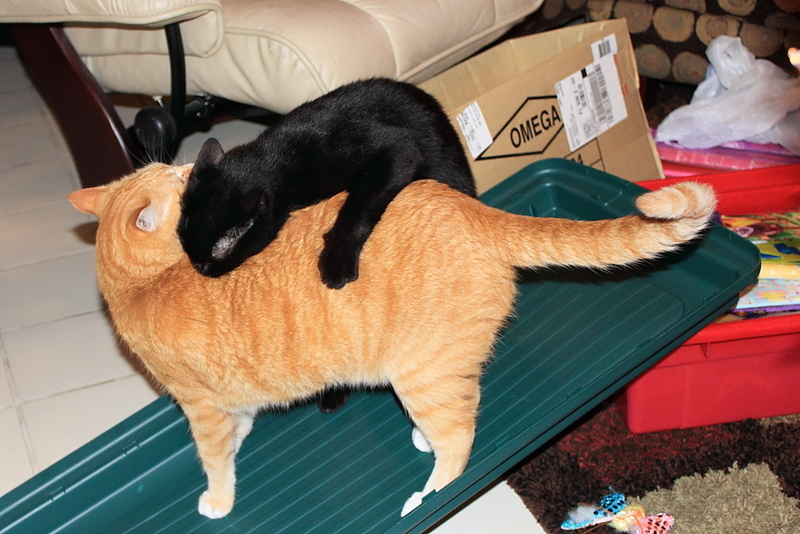 You need to learn, Puck, that I am the boss around here. 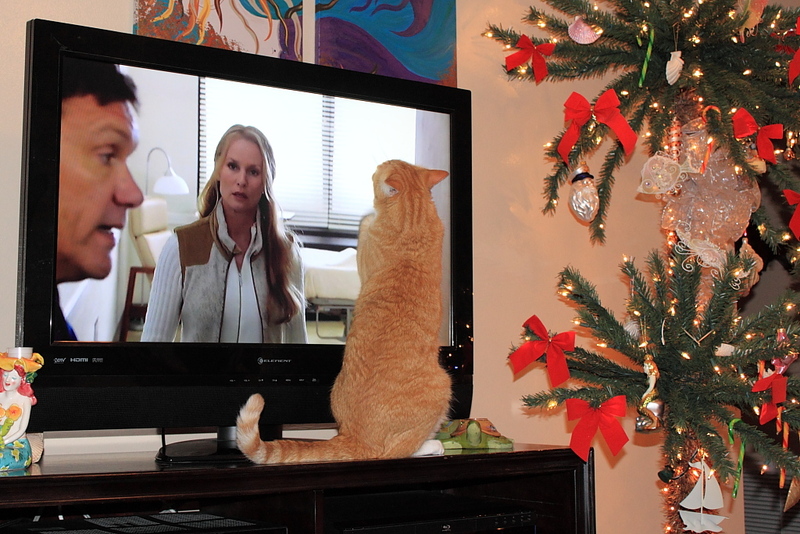 Are you watching this? Maybe The Lion King is on. 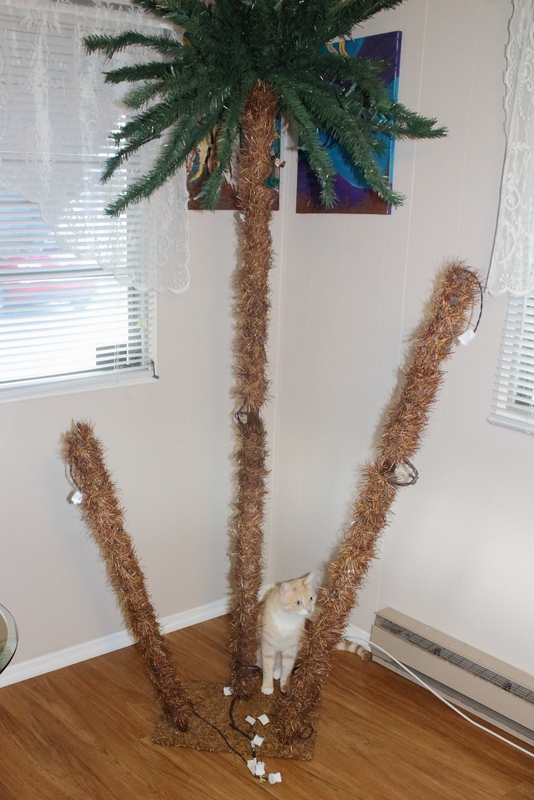 Nevermind, I’ll just play with the tree while I wait for a present to play with. I can’t wait until it’s time to open the presents. 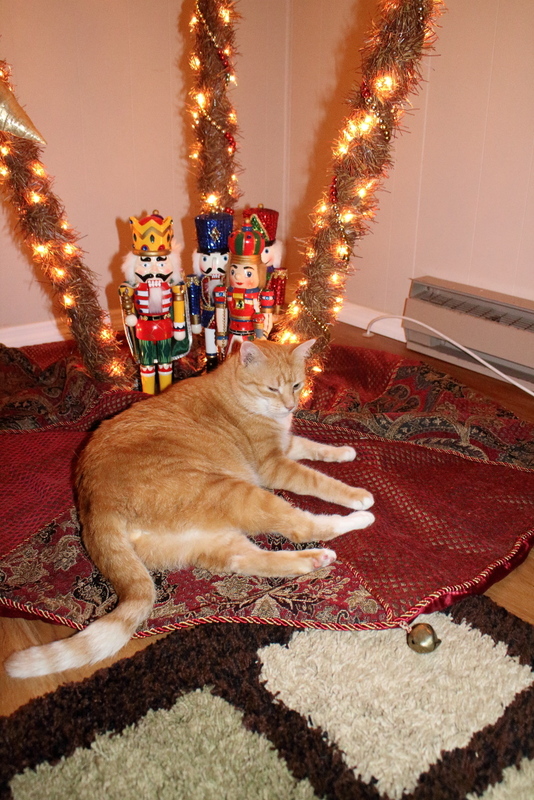 This entry was posted in Uncategorized and tagged Bad Cat, Cats, Christmas, gifts, tree, wrapping on December 13, 2013 by Charles Huss.